Semaphore’s TBox telemetry systems are designed to leverage easy-to-use web technologies and inexpensive, public networks. They offer up to 50% less total installed cost per point versus traditional SCADA / PLC systems. Using push messaging via e-mail, FTP, and SMS text, TBox will immediately notify users of alarms and live conditions in a reliable manner that minimizes communications networking costs. 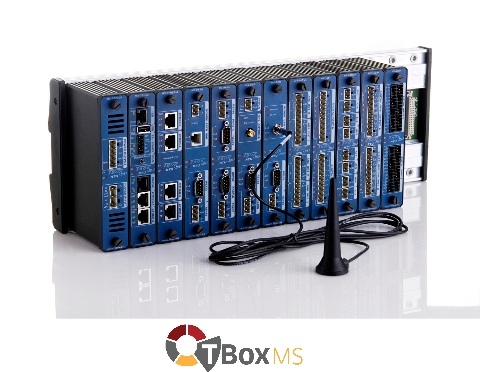 For compatibility with existing systems, TBox also supports “pull” messaging using SCADA protocols such as Modbus.An integral web server allows TBox to manage Internet and intranet communications without a front end device and provides a very inexpensive HMI for operations and maintenance. Programmable Automation using IEC 61131-3 Ladder Diagram, Basic, and Microsoft Windows Automation environments expedite configuration of automation tasks and custom calculations for virtually any remote asset or process.Alarm management and data logging provide live information and historical data to multiple recipients. Multi-communications via a choice of integral, communication options provide broad compatibility and mean that all remote sites are accessible. 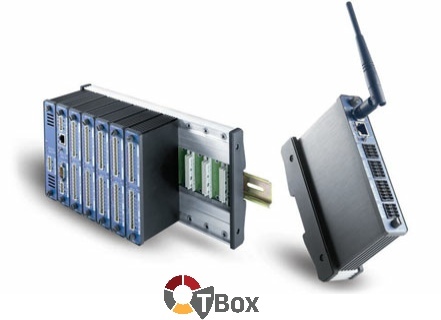 TBox communications capabilities allow use in IP forwarding and intelligent sensor gateway applications. The TBox MS remote terminal unit (RTU) combines the power of the Internet with modular based architecture to create a class–leading remote control and automation solution. Equipped with one of the market’s most powerful processors, only TBox incorporates Web server technology with SMS reporting and remote control to give you real–time access anytime, anywhere using a standard web browser. TBox MS features Plug & Go technology, allowing you to distribute your full site configuration on an SD/MMC card. Your maintenance personnel can deploy it without switching on a computer. 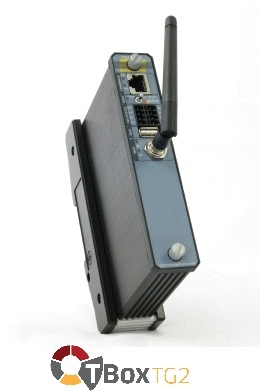 TBox MS features GSM telemetry data acquisition and communications. MS–CACHE Dust protection cache for unused slots in a MS–RACK (by 10 units). Semaphore’s TBox all–in–one architecture provides up to 50% cost savings over systems that combine PLC, communications, and SCADA components. 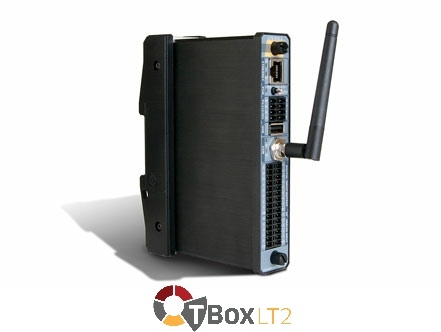 The TBox LT2 RTU integrates advanced automation, web server, alarm notification, and data logging with Ethernet and wireless communications in a single, rugged module. Now all remote assets and processes are under your control and within reach. Innovative push and multi–platform Web server technologies open up new possibilities. Users have complete access to alarms, live conditions, and historical data on their mobile devices, tablets, and PCs — anytime and anywhere. This self–contained system gives you everything needed to create high–performance yet economical automation and monitoring installations. LT2–530 meets a broad range of asset management, monitoring, and process automation applications. I/O includes 8 AI and 16 DI/DO (3 of which can be counter inputs). LT2–532 adds two analog outputs to the LT2–530 count for a total of 8 AI, 16 DI/DO (3 of which can be counter inputs), and 2 AO. LT2–540 includes two temperature inputs in place of analog inputs. I/O count is 6 AI, 2 Pt1000, and 16DI/DO (3 of which can be counter inputs). LT2–542 adds two analog outputs to the LT2–540 count for a total of 6 AI, 2 Pt1000, 16 DI/DO (3 of which can be counter inputs) and 2 AO. 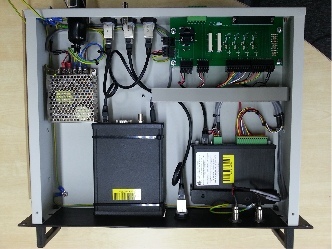 TBox TG2 integrates advanced automation, web server, alarm notification, and data logging in a single, rugged module. With connectivity via 3G cellular, Ethernet, RS–232/485, and USB, TG2 is intended for use with process equipment such as drives and short–range, wireless devices, which provide analog and discrete I/O. TBox Nano is the latest addition to the industry-leading range of TBox innovative remote telemetry products. The TBox Nano is an ultra-low power wireless telemetry unit designed for remote applications. Servelec Technologies’ TBox all-in-one architecture can reduce installation costs by up to 50% over configurations that combine PLC, communications and SCADA components. The IP68-rated rugged construction, exceptional battery life and compact footprint mean the TBox Nano is ideal for demanding applications in the harshest and most remote environments. Rugged packaging for remote operations via DIN rail-mounting or IP68 / Nema 6 enclosure with Class I, Division 2, or Atex Zone 2 hazardous area approvals (for certain models; please refer to product brochures for specifics). Push messaging via e-mail, FTP, and SMS text and “pull” messaging using SCADA protocols such as Modbus efficiently ensure complete access to site information for all users. Integral Web server allows TBox LP to manage Internet and intranet communications without a front end device and provides a very inexpensive HMI for operations and maintenance. Alarm management and data logging report all live conditions and historical data base information to multiple recipients. Process automation and calculations - IEC 61131-3 Ladder Diagram, Basic, and Microsoft Windows Automation environments expedite configuration of automation tasks and custom calculations for virtually any remote asset or process. Multi-communications via a choice of integral, cellular wireless communication options mean that all remote sites are accessible. Digital input points are also 1KHz counters. Optional front panel pushbuttons use 2 points. **Please refer to the TBox LP Battery Life Calculator spreadsheet to determine life time based on specific operating conditions. Compact size and monoblock construction that can be fixed easily on DIN rail. 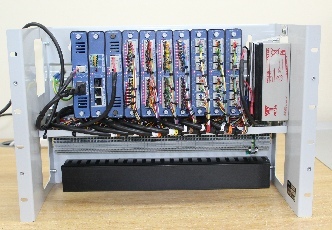 The modules connect a wide variety of electrical, electronic, and mechanical devices and sensors –– such as pumps, temperature and pressure transmitters, motors, and more — to computers and applications over standard Ethernet networks (Modbus/TCP), RS485 (Modbus RTU), or other controllers and PLCs. 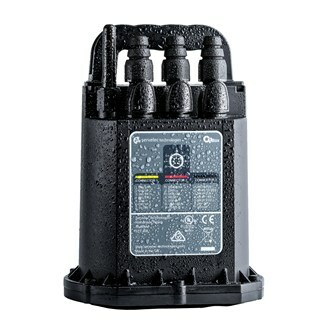 Each remote I/O module has its own Ethernet Modbus TCP/IP port making it easy to connect the modules to each other with up to 100 meters of CAT5 cable, or even longer distances using fiber optic switches. There are several types of Ethernet remote I/O modules available with different I/O formats.